St. Patrick’s Day is next week and although I don’t normally celebrate, I do enjoy joining in with some festive green treats. 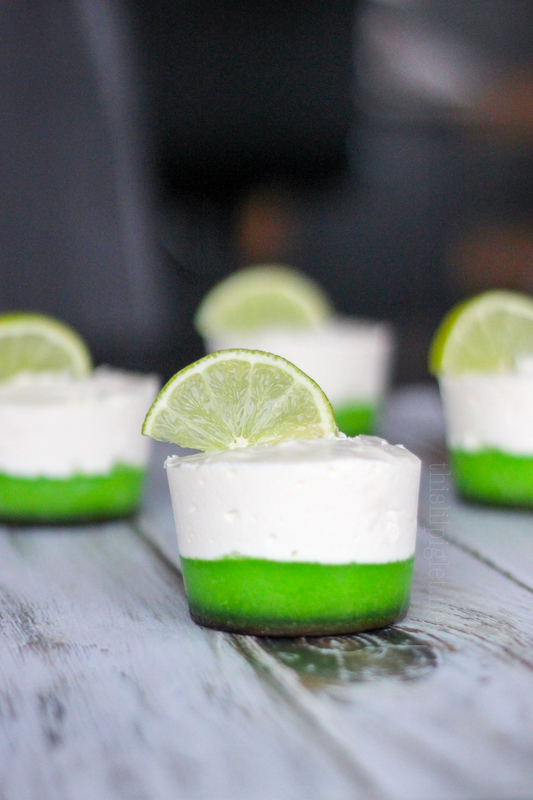 These Mini no-bake lime cheesecakes can be enjoyed year round with this easy recipe. 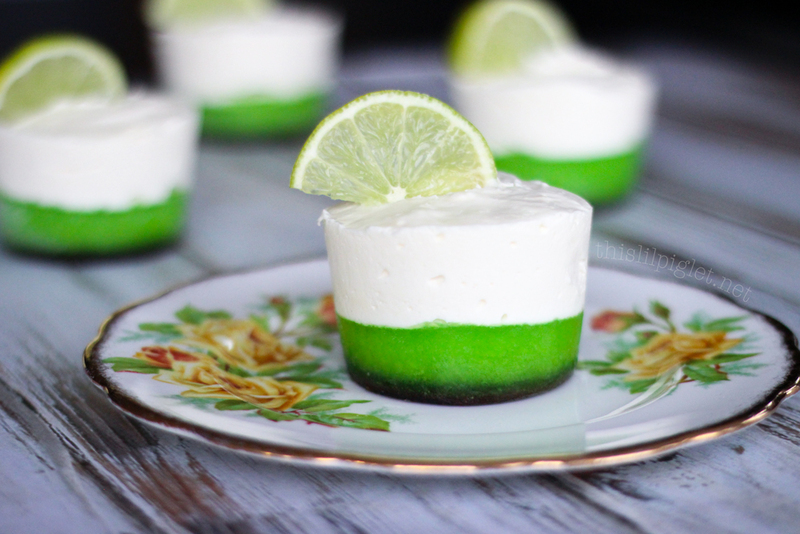 Lime is one of my favourite flavours to add to recipes but it doesn’t come to mind usually for desserts. I have decided I need to change that outlook; I quite enjoyed this tangy sweet combination. Do you have any favourite St. Patrick’s Day recipes? Using a large 6 muffin silicone tray, place 6 chocolate wafers in the bottom. Prepare the the lime jello according to regular directions. Keep an eye on the jello and once it's just slightly set, still pourable but not liquid, poor into muffin tray. Pour ¼ way up each spot, equally across 6 in the silicone tray and place in the freezer until frozen. In the meantime, prepare the cheesecake mixture in a stand mixer. Place the softened block of cream cheese in the mixer with the powdered sugar, whip until creamy and blended. Add 1 cup of prepared whipped cream into the mixture and fold in with a spatula until mixed. Remove the frozen tray from the freezer and fill the tray equally across the 6 with the cream cheese filling, this should be about ¾ way up the muffin spots. Place into the freezer for 3-4 hours or overnight. Remove from the freezer and push each cheesecake out of the silicone mold gently; place onto plates and serve cold. If you let sit at room temperature for too long, the jello will liquify. Garnish with half a slice of lime (optional) and enjoy! make it for a nice summer dessert.Thank you for the awesome post.